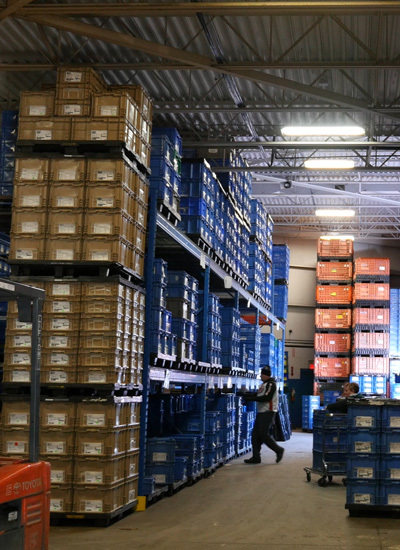 Hawk Plastics’ three facilities offer ample manufacturing and warehousing space. They are also conveniently located in a well-known industrial complex in Windsor, Ontario, within 15 minutes of the Canada-U.S. border and less than 10 minutes from Ontario Highway 401. With these physical resources at our fingertips, we are able to assist our customers with their inventory, distribution and logistical needs as well as tailor theses services to the demands of each job. Located at 52925 Burke Street, Plant 1 is a 28,000-square-foot facility housing our 32 presses ranging from 50 to 850 ton as well as our resin silo, and metrology lab. With more than 4,200 square feet of floor space in our second plant and 16,000 square feet of warehousing space, our second location at 1680 Moro Drive allows us to further maximize efficiency.